Tech is scheduled to start at 7:30am with driver’s meeting to follow directly after. JUSTDRIFT | paul November 22, 2016 | Comments Off on ToyDrift 2 registration is now open! 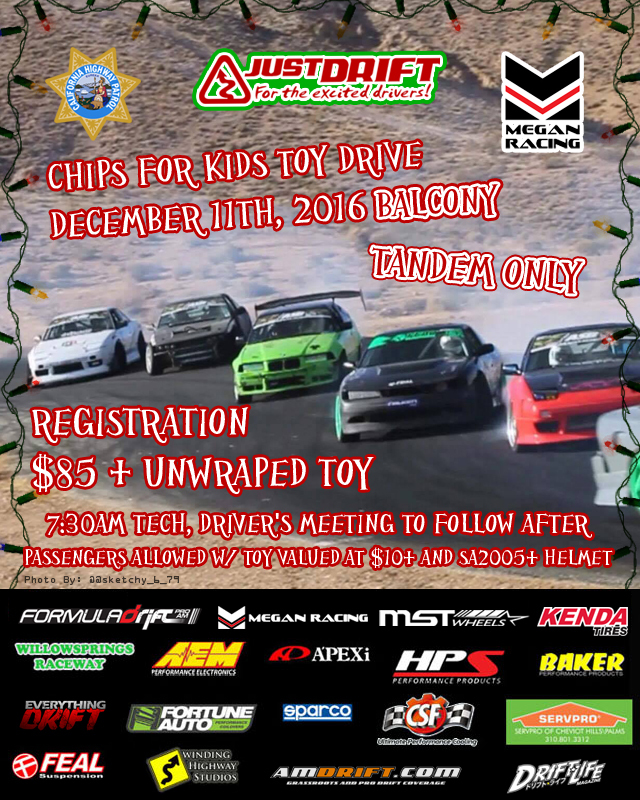 Toydrift registration is now open! $200 + Toy worth $10 and up for 2 days of HTM! $225 without a toy 2 days of HTM! 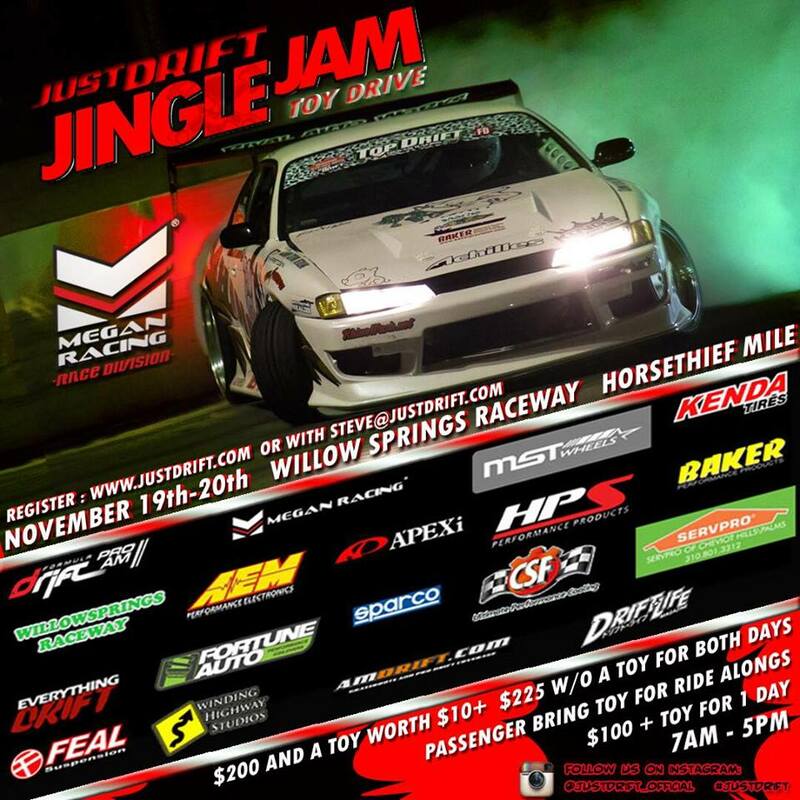 JUSTDRIFT | admin November 5, 2016 | Comments Off on Toydrift registration is now open!